RE•WORK | Blog - Deep Learning Summit San Francisco 2019 - What Is New? 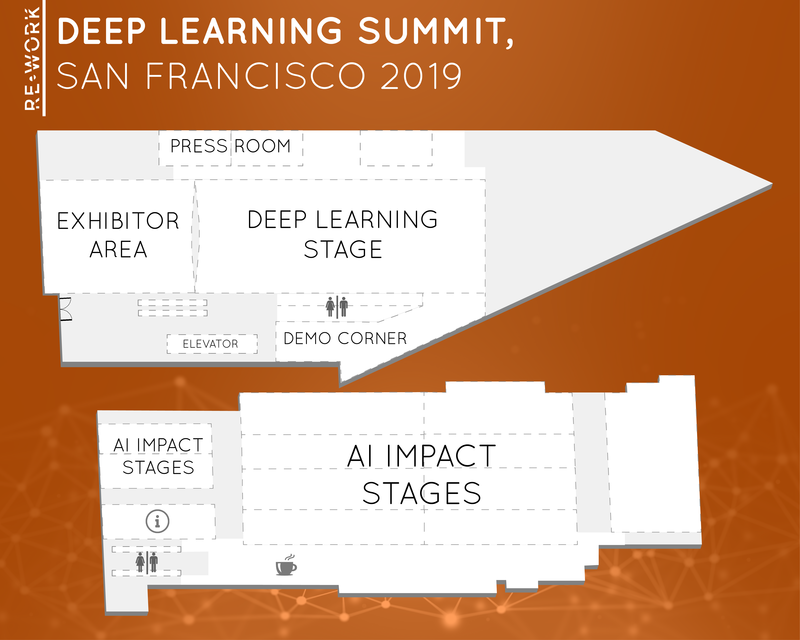 Deep Learning Summit San Francisco 2019 - What Is New? We are excited to be coming back to San Francisco on the 24 & 25 of January for the annual Deep Learning Summit. RE•WORK has been growing year on year and this is a true reflection of the growth and interest within the areas of AI and deep learning. 2019 will be our biggest edition yet and we are bringing a new format. One Summit, Ten Stages. What does that mean? Across the ten stages, there will be two full days of presentations, as well as interactive workshops and practical sessions to delve into case studies and key insights. Check out what’s in store on each stage by clicking the image. Attended the Deep Learning Summit in San Francisco before and unsure how it’s going to work? Here’s a map to help you. Recently announced to speak, Balaji's research interests are in scalable, probabilistic machine learning. His PhD thesis focused on exploring connections between neat mathematical ideas in (non-parametric) Bayesian land and computationally efficient tricks in decision tree land, to get the best of both worlds. At the summit, Balaji will speak about his most recent work in applying probabilistic deep learning ideas in healthcare and Google products. Returning to the summit for the fifth year in a row, Ian will share his most recent progressions in GANs as well as other areas of his research. He is the lead author of the MIT Press textbook Deep Learning. In addition to generative models, he also studies security and privacy for machine learning. He has contributed to open source libraries including TensorFlow, Theano, and Pylearn2. He obtained a PhD from University of Montreal in Yoshua Bengio's lab, and an MSc from Stanford University, where he studied deep learning and computer vision with Andrew Ng. He is generally interested in all things deep learning. Timnit has just finished her postdoc in the Fairness Accountability Transparency and Ethics (FATE) group at Microsoft Research. Prior to that, she was a PhD student in the Stanford AI Laboratory, studying computer vision under Fei-Fei Li. She is currently studying the ethical considerations underlying any data mining project, and methods of auditing and mitigating bias in sociotechnical systems. The New York Times, MIT Tech Review and others have recently covered her work. As a cofounder of the group Black in AI, she works to both increase diversity in the field and reduce the negative impacts of racial bias in training data used for human-centric machine learning models. As a leading AI expert on human/machine conversational language understanding systems, Gokhan has co-authored more than 150 papers published in journals or books. He is the editor of the book entitled "Spoken Language Understanding" by Wiley in 2011. He was a founding member of the Microsoft Cortana team, and later the Conversational Systems Lab at Microsoft Research (2010-2016). He worked as the Conversational Understanding Architect at Apple Siri team (2014-2015) and as the Deep Conversational Understanding Technical Lead Manager at Google Research. He is currently with the Uber AI Labs. The panel, Changemakers in AI - Young People Using AI for Good, will bring together high school students to explore the future of this disruptive technology. As we talk about AI, it is critical to include the voice of today's youth who represent society's future. 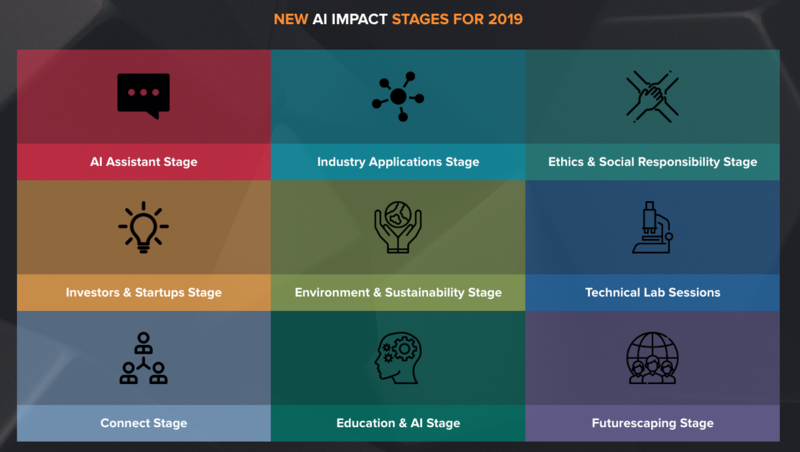 The young people of today will be faced with the impact of the decisions we make about AI, and so having their perspectives, ideas, concerns and solutions is critical for creating responsible and beneficial AI. Join 3 high school-age AI4ALL alumni for a discussion moderated by AI4ALL’s CEO, Tess Posner, about what drew them to AI, how they’re using AI in their own work now, and what they anticipate for the future. Early Bird discounted passes are ending this Friday 7th December. We're excited to launch our interactive agenda allowing attendees to schedule their time at the event online prior to the summit. You can find the agenda here.